All workouts are FREE. We currently meet every Monday, Tuesday, Wednesday, and Thursday at 6:30 AM. Want to join us? We want to meet you! It’s as easy as just showing up. Get out of bed and be awesome. 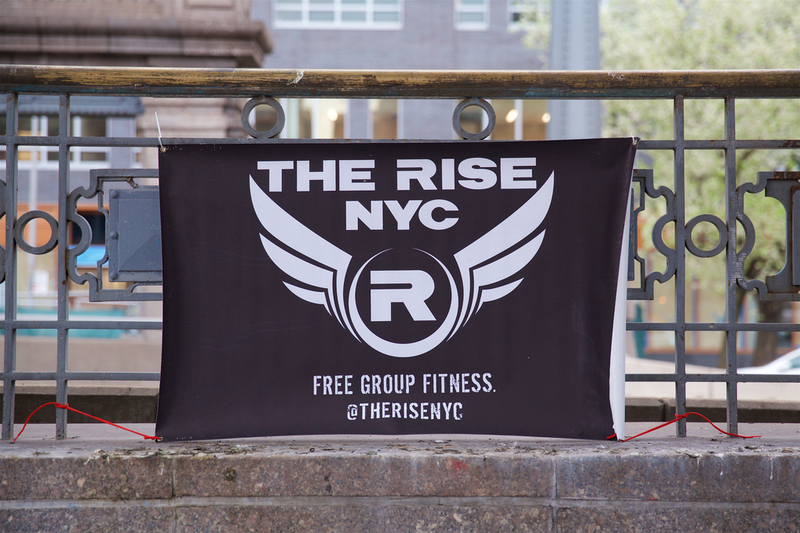 Join your new workout family at The Rise and transform your life. It’s absolutely FREE. No more excuses. We hear a couple of them all the time. Excuse #1: I need to get into better shape before I can work out with you. No way! We want everybody to experience the joy of working out in a judgment-free group setting. It doesn’t matter whether you’re already fit or not. We welcome EVERY ability level. Can’t do a single pushup? Want to learn how? We will help you! Come work out with us. Yes, it will hurt. But it will hurt in the most amazing way. We challenge you to find a group that is more encouraging and excited to work out than us. We surround ourselves with the most supportive, energetic, and encouraging people we can find. It doesn’t matter what kind of shape you are currently in. All that matters is that you show up ready to work hard and give it everything you’ve got. And after you meet some awesome new friends and keep coming back you will get in shape. That just happens. It’s science. Excuse #2: It’s too early / cold / hot / rainy / snowy to exercise outside. Yes, it is early / cold / hot / rainy / snowy. But we will be there. Will you? We can all make a lot of excuses. But you know what? Show up for the 6:30 AM workout and we guarantee that by 7 AM you’ll wonder why you haven’t been doing this your whole life. No more excuses. Just show up!